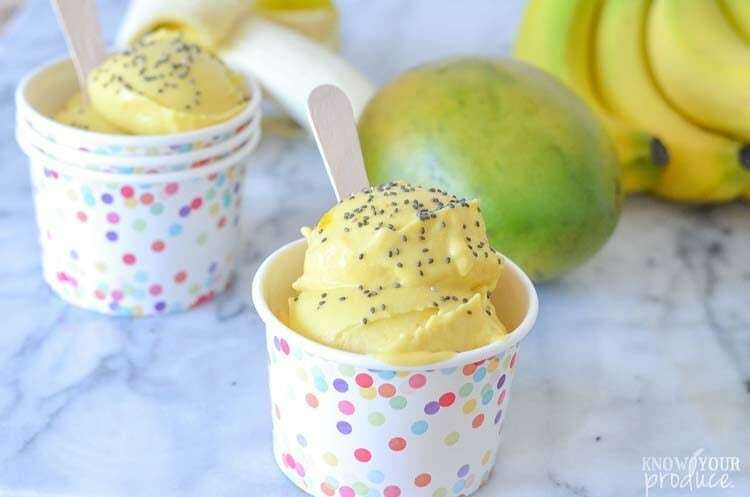 Mango Ice Cream Recipe with healthy superfoods like chia seeds for ice cream sprinkles. It’s a homemade mango ice cream recipe free major allergens, gluten free, dairy free, vegan mango ice cream. We hope you enjoy this recipe for mango ice cream that is easy to make with just 2 ingredients! The warm weather is coming, at least that is what I keep telling myself. I for one cannot wait to feel the sun and not a huge gust of winter in my face. Once the temperatures rise I’ll be enjoying this healthy, dairy-free, creamy and oh so delicious Creamy Mango Ice Cream. 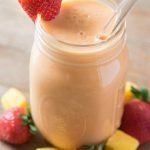 It will definitely hit the spot on a warm summer day, or even on a cold day. My wife likes to put me to work when it comes to the produce in the house. If she sees a sale that means I’ll be in the kitchen prepping it all for the freezer when she buys in bulk. We work as a team. She washes, I chop, she packs and freezes, I take the scraps to the compost. 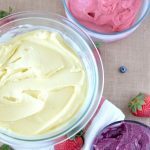 To make our dairy free ice cream with ease we use a high speed blender, you could use a food processor as well, but the blender does the job like a pro for us. We love having our dessert in minutes. That’s the beauty of using real food, we don’t have to wait to churn anything, freeze it, we just enjoy whenever. The reason we use the Vitamix blender for our ice creams is simple, it makes it easy. We love making this Vitamix ice cream and it’s easy to clean up too. 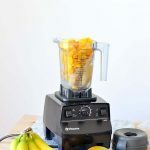 There are many high speed blenders on the market that can do a comparable job so it’s up to you to do your price matching and find one that fits your needs. 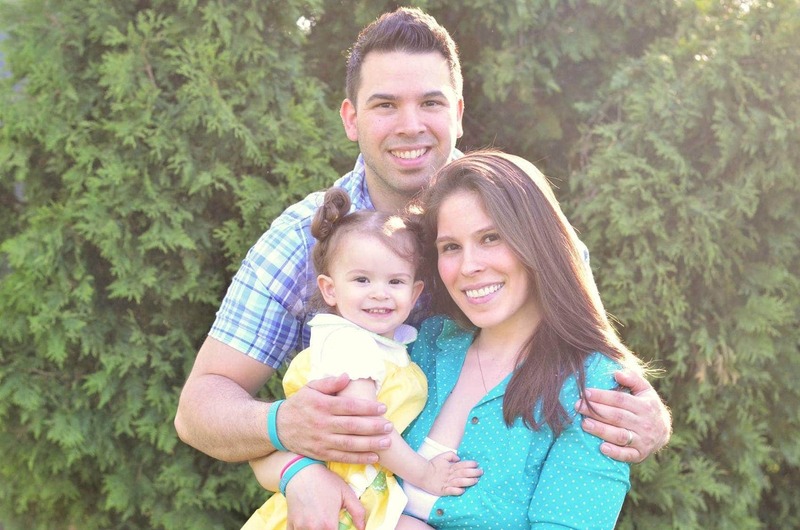 For us, we wanted something that could make hot soups and ice creams without dairy. Many like to make banana nice cream and it’s a delicious dessert just as well, but mangos, oh man. Mangos are so creamy on their own and once you make them into their own ice cream your taste buds will be singing. Mix mangos and bananas together? You’ll start singing! Dessert doesn’t need dyes or sprinkles, well unless you’re using chia seeds as sprinkles. You can get what you crave with stuff that’s grown from the ground. 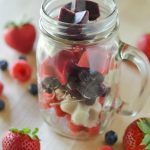 Just a little bit of effort on your part and this sweet healthy treat can be ready in just 3-5 minutes. 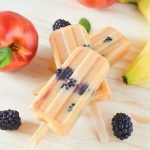 You can make this treat even easier by using store-bought frozen mango instead of buying, chopping and freezing yourself. 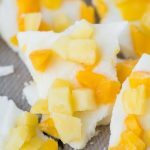 Creamy Mango Ice Cream Recipe – SUPER SIMPLE! 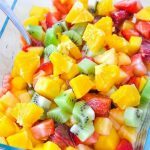 This can even be made ahead and then frozen to enjoy later. Our favorite toppings are chia seeds or even crushed up frozen raspberries. 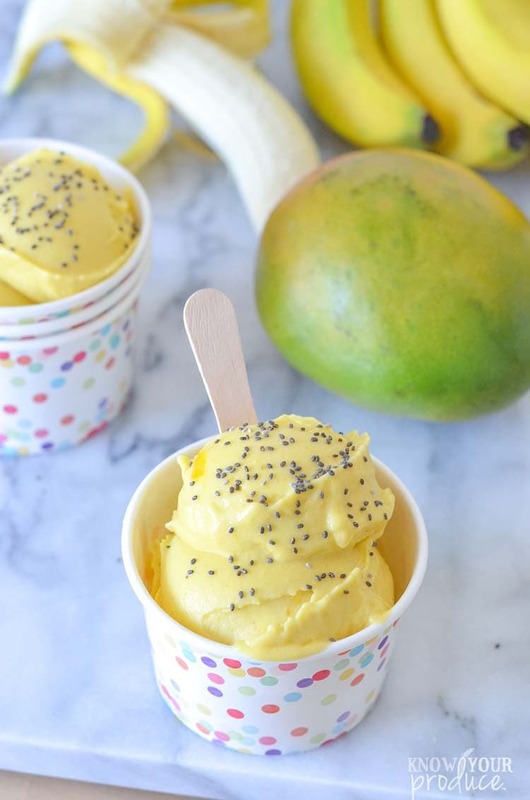 Easy Mango Ice Cream Recipe with healthy superfoods like chia seeds for ice cream sprinkles. 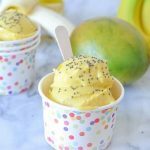 It's a homemade mango ice cream recipe free major allergens, gluten free, dairy free, vegan mango ice cream. 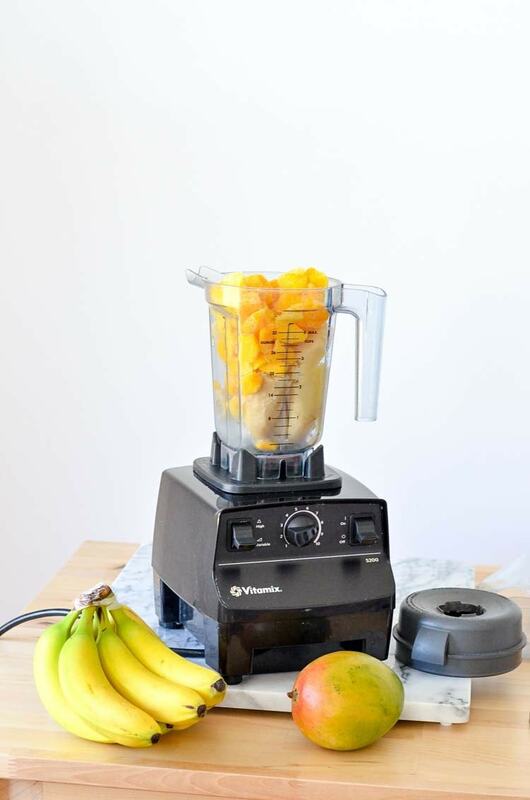 In a high-speed blender combine the mango and banana. Using a tamper put the blender on the highest speed setting. Mash the mixture until fully mixed and forms into "nice cream". Scoop up and enjoy with your favorite toppings, we use chia seeds as natural sprinkles. Can you put in freezer overnight? I make tropical smoothies a lot.. 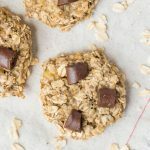 But I still like snacking on ice cream… I need to try this recipe tonight! Is that chia seeds on top? 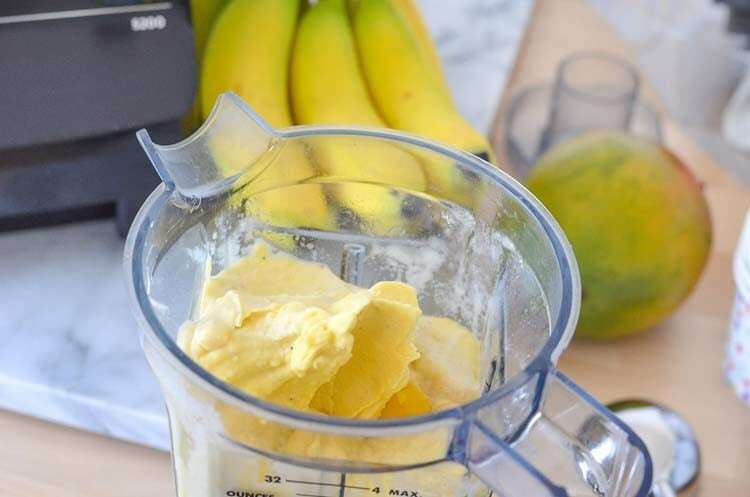 We love to make banana ice cream with just frozen bananas whipped up…never thought to add mango chunks, thanks! Yes!! My kiddo loves the chia sprinkles too 🙂 Sometimes we use hemp hearts as well. Oh, you must try mango too, so good! !